Our Coco bug isn't the only one who likes to use my laptop when I step away from the desk. Earlier today I stepped away from my desk to do a few things around the house. When I returned to our office area, this was the scene. Lobo was concentrating on something. He didn't even look up when I reached for my camera. Lobo has followed in his brother's footsteps. 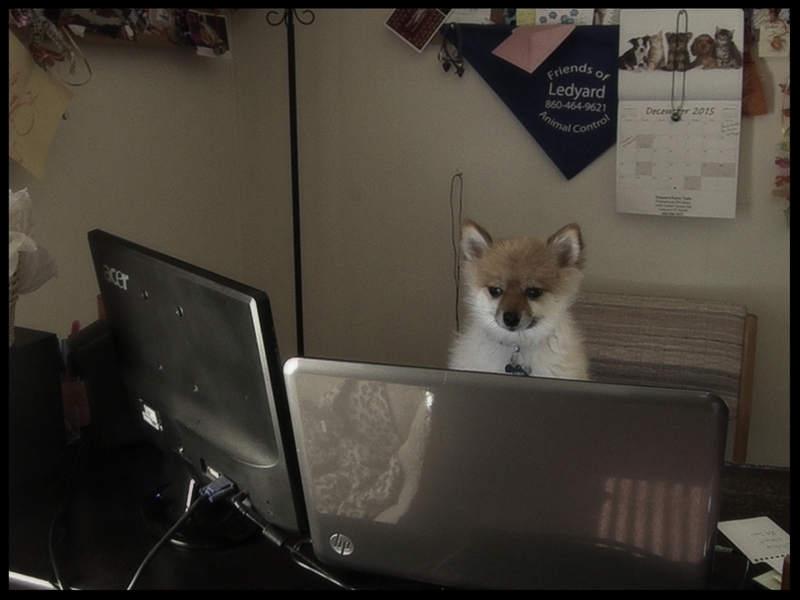 Coco likes to sit at the desk and watch YouTube videos of other pups. This started shortly after we adopted him over 3 years ago. 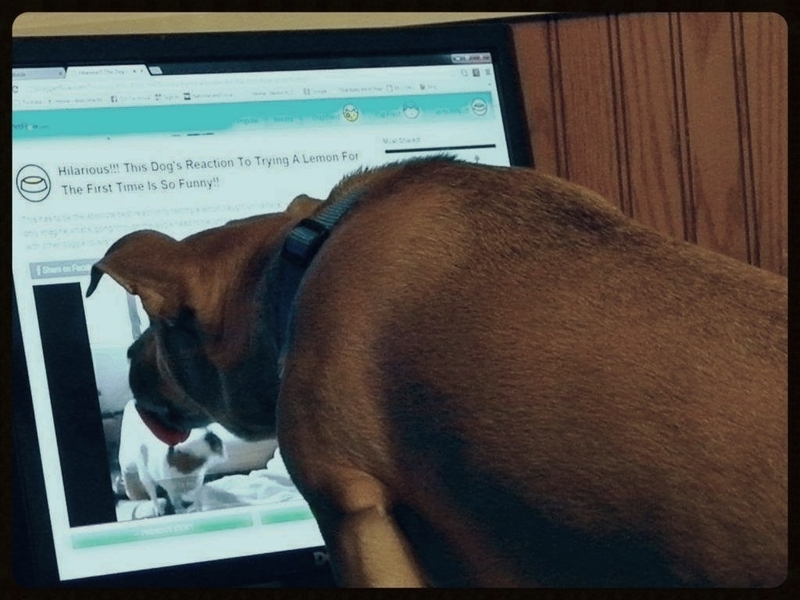 When Coco sees a pup he's especially fond of, he licks the screen.